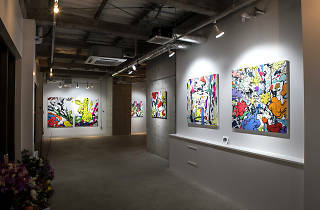 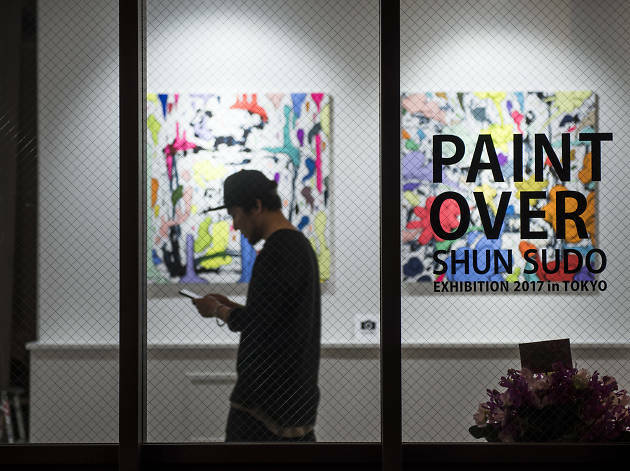 Artist Shun Sudo has been making waves in New York for some time now, and is finally putting on his first solo exhibition in Japan – at Nakameguro Koukashita, more specifically. 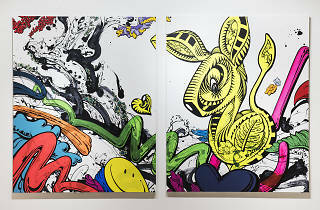 The Big Apple's art critics have lauded his distictive style, which sees pop art-esque graffiti combined with broad black brushstrokes reminiscent of traditional ink paintings, as a new take on Japanese aesthetics. 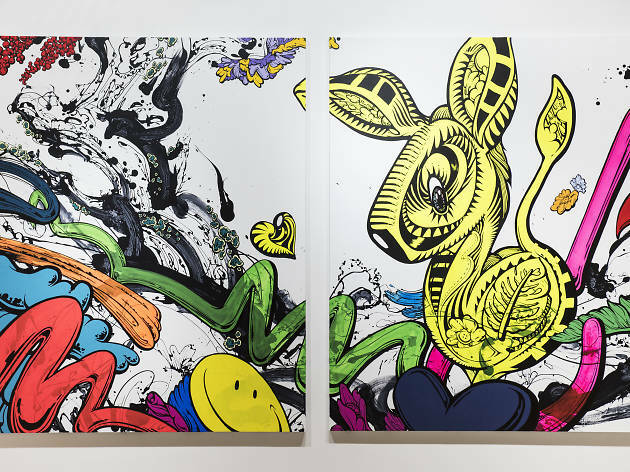 Sudo's preferred use of a black ink background channels a Zen-like atmosphere, which crashes headlong into the colourful pop art upper layer in his characteristic 'paint over' method, making for a very invigorating whole. 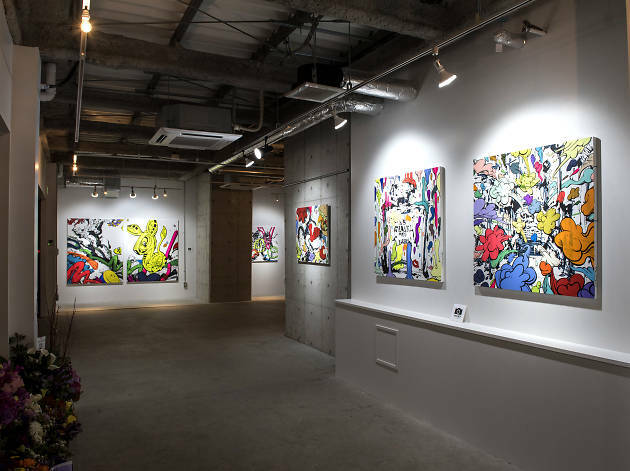 His path to success is a classically painful, artistic one also laced with street culture: not being very well acquainted with the New York art scene, he went to countless galleries to offer his work, and finally managed to put together a solo exhibition in 2015. 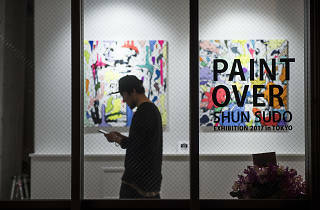 This got the ball rolling, and Sudo is now returning to his home town in triumph; see his pieces, six of which will also be for sale, under the train tracks by February 12.